Kano Kit is a simple accessory kit and learning platform for the Raspberry Pi. Kano creator Alex Klein says he built the Kano Kit because of a challenge from his young cousin to make a computer that is "as simple as Lego." (See the interview with Alex Klein elsewhere in this issue.) 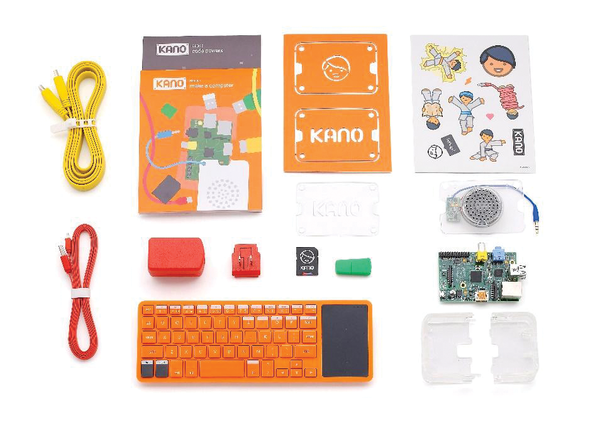 The goal of the Kano Kit is to offer a product that is intuitive enough for a young child to set up and use with little guidance, but that is equally useful in a classroom or workshop. After many months and many iterations of the Kano Kit, the team took to Kickstarter to launch the idea to the public. They needed to sell around 1,000 kits to make it a viable venture, and at a price of $99, they had a total target of $100,000. They smashed that goal in around 19 hours and went on to raise $1,522,160 from 13,387 backers, with Steve Wozniak (co-founder of Apple) and Yancey Strickler (co-founder of Kickstarter itself) among the ranks. The Kano Kit emerged as one of the top 50 most funded projects ever launched on Kickstarter and broke a number of Kickstarter records, including the top UK-based project and the top educational project. To date, Kano has sold more than 18,000 kits to more than 87 countries around the world, and these impressive figures continue to grow on a daily basis. 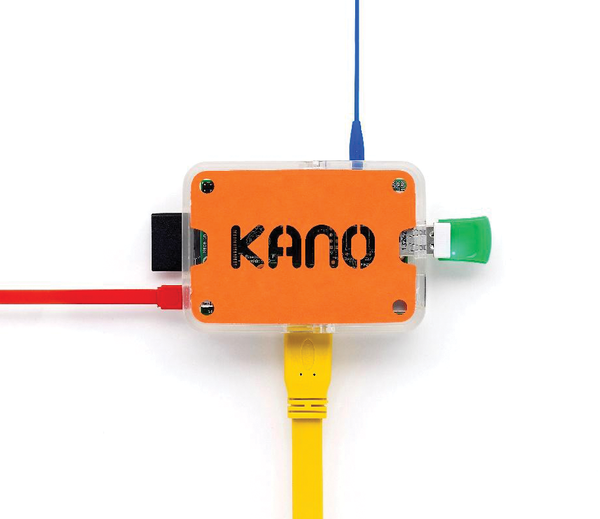 You can purchase the kit directly from Kano  with any of the four major mains plug types (UK, USA, EU, AUS), and, although the books that go with the Kano Kit are currently available only in English, members of the Kano community have translated the books into over 20 different languages, and these translations will soon be available for free digital download. Receiving and getting started with your first Raspberry Pi is always a very exciting experience, and Kano has managed to make that unboxing experience even more enjoyable. As soon as the box turns up on your doorstep, you instantly realize that the team has put thought and care into every aspect of the kit. If you followed the Kano Kickstarter campaign, you know that the team destructively tested every aspect of the packaging, even down to the customized external shipping box that the kit arrives in, to make sure it stands up to the challenges of global shipping. The effort that the Kano team places in the packaging shows they truly care about the experience of the end user – and that care shines through into everything else about the Kano Kit. Open up the shipping box, and you are greeted by the Kano Computer Kit (Figure 1). 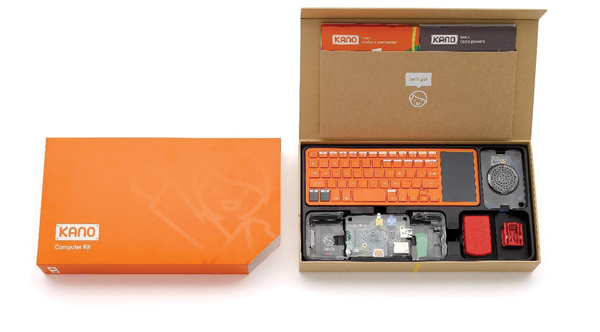 Figure 1: The Kano Kit arrives in a mysterious orange box. The inner cardboard box is neatly organized (Figure 2), and with its re-usable magnetic fastening method, it also makes a good case for transporting the kit in the future. Inside, you are greeted with more brightly colored items (Figure 3). The colors are aesthetically pleasing, but the real reason for them becomes apparent when you look at the books and operating system – the color-coded items match instructions in the books to simplify setup for younger or less tech-savvy users (Figure 4). Figure 2: Inside, the Kano kit is carefully organized and ready for action. Figure 3: Brightly colored accessories add interest. Figure 4: The color coding leads to easy assembly for children who might not know the difference between HDMI and USB. It probably goes without saying that the kit includes a Raspberry Pi. Kano refers to the Raspberry Pi as the "brain" of the computer, but it is the exact same hardware you can buy off the shelf. The kit currently uses a Model B Rev 2 board (and I believe they are all the UK-made versions from Farnell element14); however, Alex Klein has hinted that a Model B+ version is in the works, so watch for a B+ option. 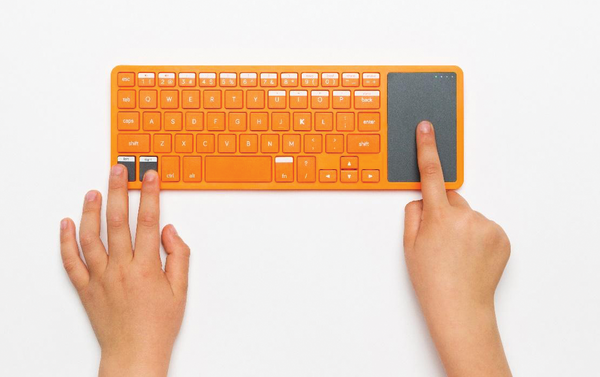 Perhaps the most impressive item within the kit is the innovative Kano keyboard (Figure 5). The custom-designed keyboard is both slim and full of features; it is well laid out and is a good size for children and adults alike. The Kano keyboard is basically a portable, wireless device, although it is too big to fit in a pocket. It includes a trackpad and two distinct mouse buttons that are located on the opposite side of the keyboard to allow for a full-height trackpad on the right, with the status lights embedded within it at the top. The keyboard includes all of the standard keys you would normally expect, including special characters necessary for writing code. Also included are a couple of volume buttons and four special keys save, load, share, and make – that relate to specific functions within the Kano OS. 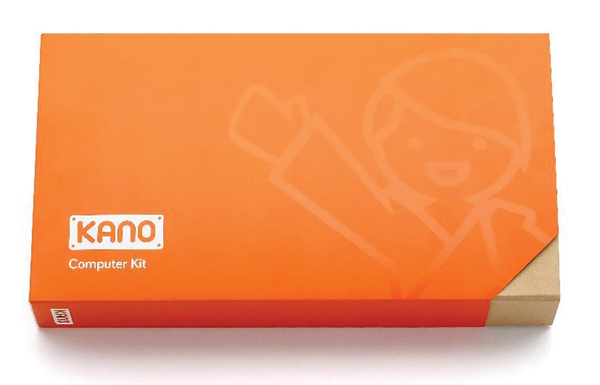 Figure 5: The impressive Kano keyboard is specially designed for the kit. The Kano keyboard is capable of three different connection methods: Bluetooth, RF, and a wired USB connection. The USB cable is also used for charging the device and is stored neatly in the base, along with the white USB dongle that plugs into the Raspberry Pi. The kit also comes with an easy-to-assemble three-piece case, which is customizable by way of different click-in "cards" and a few sheets of stickers. The design templates for these case cards are available to download online  so anyone with a 3D printer can make their own versions. A fourth case card includes a small speaker and an amplifier circuit mounted on the card that is powered directly from the Raspberry Pi. Kano OS needs a speaker for the Sonic Pi synthesizer, so the speaker card is a nice touch. 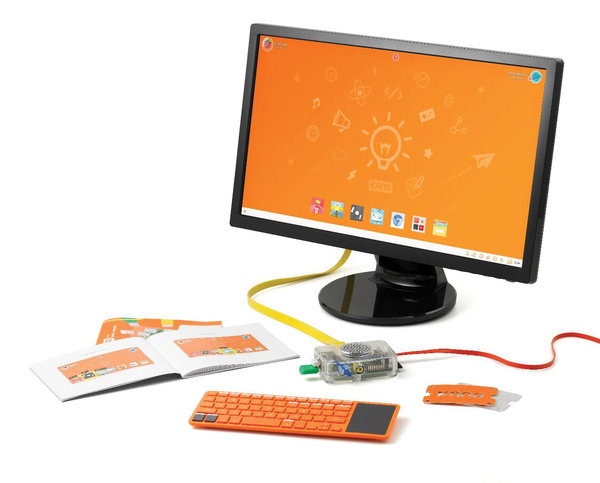 The kit also comes with a plug-and-play WiFi adapter, an SD card with Kano OS pre-installed, a mains power adapter, a power cable, and an HDMI cable. These parts are all pretty standard, and other than their funky colors, I believe they are just off-the-shelf components. The parts assemble for a simple and uncluttered workspace (Figure 6). Figure 6: The Kano Kit parts fit together sensibly – you'll need your own monitor.